Savoy East Condominium at 3210 SE 10th Street, Pompano Beach, Florida 33062 is a small boutique bulding that features dockage on a canal east of the intracoastal. This Pomano Beach Condominium features views of both the Intracastal and the Ocean and is in close proximity to the beach. The property consists of only 48 units and both the one bedroom, and town bedrooms condso are spacious floorplans with generous sqaure footage. 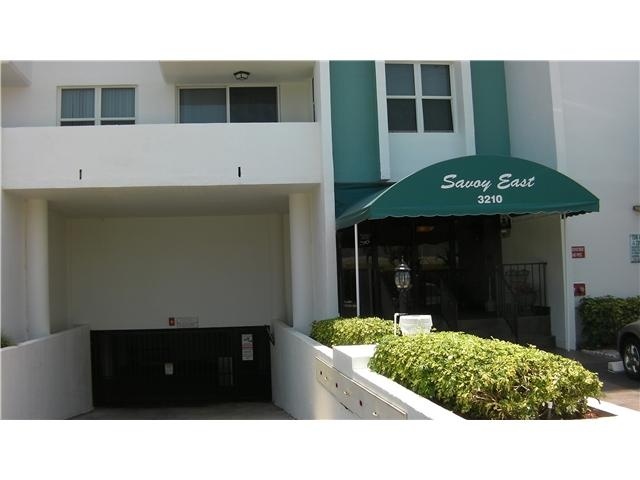 Read more about the Savoy East Condo, Pompano Beach, Florida. A little bit secluded yet just blocks to the beach, this Pompano Beach Condominium building offers some of the largest units you will find for the money. The panoramic views from the upper floors include both the intracoastal and the ocean. The floor plans on the Savoy include large kitchens and all units have their own washer and dryer. The building has recently completed numerous upgrades which makes it a great time to be a buyer at this waterfront condominium. Impact Glass thoughout the property is a great feature which has already been completed and paid for. Please note that maintance numbers on this building are often quoted quarterly in the Fort Lauderdale MLS so do not be surprised if it appears high. As a quarterly maintance number the Savoy is clearly a well manged property. A recently redone pool area and a property that looks great makes the Savoy East Condominium the perfect second home or primary residence. Eric Miller and Associates, have the Savoy East on our list of great properties to show at a very reasonable price point, so call us with all your real estate needs throughout the Pompano Beach Real Estate market, we are always here to help ! Contact Eric Miller and Associates at (954) 383-8170. The data relating to real estate on this web site comes in part from the Internet Data Exchange program of the MLS of the Miami Association of REALTORS®, and is updated as of April 19th, 2019 at 10:54pm EDT (date/time). Listing information last updated on April 19th, 2019 at 10:54pm EDT.